Final album with Phil Collins on double LP! For their first studio album in five years, the classic "trio" line-up of Phil Collins, Tony Banks and Mike Rutherford reconvened at their "The Farm" studios to embark upon yet another album of classic songwriting, musical dexterity and high production values. Once again, too, the new album delivered a slew of classic hit singles including the heartfelt "No Son Of Mine," satirical "Jesus He Knows Me" and the witty "I Can't Dance." The album became the band's fifth consecutive No. 1 album in the U.K., and soared as high as No. 4 in the U.S., where it sold more than 4 million copies. 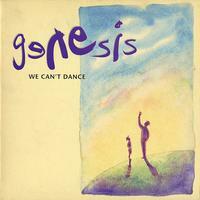 The single "I Can't Dance," received a Grammy nomination in 1993 for Best Pop Performance by a Duo or Group with Vocals.